There are two ways of looking at the sd Quattro. First, is it a realistic competitor for a similarly priced enthusiast DSLR or CSC? Sadly, the answer is probably not, at least for the majority of photographers; it’s difficult to recommend building up an SA-mount lens set to use with such a specialised camera. Landscape shooters happy to bolt it to a tripod and always work at ISO 100 might appreciate the unique qualities of the Foveon sensor, but it’s difficult not to conclude that the majority of photographers would be better served by an up-to-date APS-C DSLR or CSC instead. Almost any other interchangeable-lens camera will give faster autofocus and much better high ISO performance, and therefore increased shooting flexibility. The fact that its raw files can only be processed using Sigma Photo Pro is also a serious liability; this software is simply too slow and clunky to offer any kind of sensible workflow unless you only plan on processing a very limited number of shots at any given time. 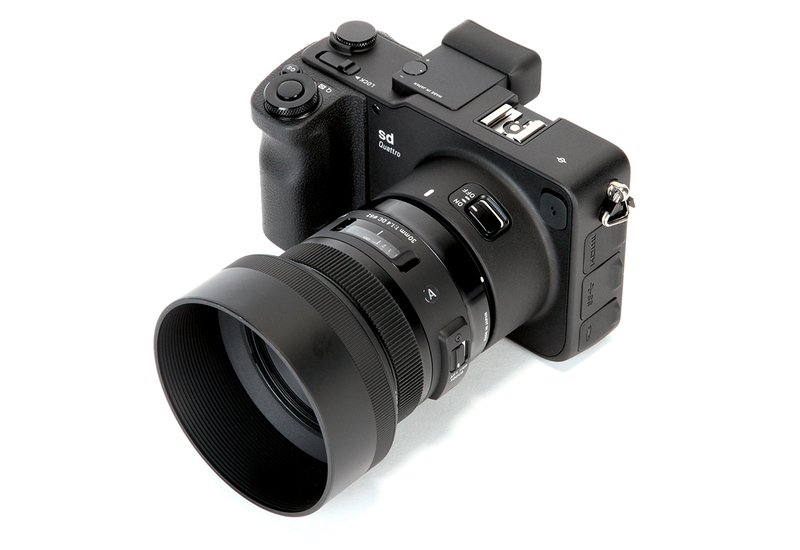 However, for existing Sigma system users who already own SA-mount lenses, the Quattro is a clear step forward from previous sd cameras in almost every meaningful way, and easy to recommend as an update. It’s faster and more responsive in most aspects of operation, let down mainly by its hesitant autofocus and relatively long viewfinder blackout time. It doesn’t offer huge image-quality benefits over the SD1 Merrill (indeed, some users may well prefer the results from the previous generation sensor), but it certainly improves markedly on older models such as the SD15. Ultimately, the sd Quattro was always going to stand or fall on the properties of its Foveon sensor. Unfortunately, it mostly falls; it’s all very well having lots of detail at low ISO, but this is outweighed by the poor high ISO capability and clunky raw software, especially as conventional 16MP or 24MP Bayer sensors are easily up to the challenge of producing high-quality A3 prints anyway. With neither the portability of a mirrorless CSC nor the speed of a DSLR, it’s one for Sigma aficionados only.